Governor Baker announced that he is authorizing a comprehensive study on the feasibility of east-west rail. On June 12, Gov. Charlie Baker joined Transportation Secretary and CEO Stephanie Pollack, Congressman Richard Neal, Springfield Mayor Domenic J. Sarno, members of the Massachusetts Legislature and local leaders at Union Station in Springfield to announce a Request for Proposals for a consultant team to study the feasibility of east-west passenger rail service, the launch of a pilot for passenger rail service between Greenfield and Springfield, and one-seat service through Springfield to Hartford and New Haven, Conn.
“I have always believed that improved and enhanced rail service between Springfield and Boston has the potential to be a game changer for our region. That's why I thank Governor Baker for coming to Union Station today to announce that he is authorizing a comprehensive study on the feasibility of east-west rail. It will build on the study of local rail service funded by the Federal Railroad Administration that former Congressman John Olver and I requested in 2006. With the debut of expanded passenger rail service between New Haven and Springfield, these two significant projects will help grow our economy and greatly improve the quality of life in the region. Investing in our transportation infrastructure will benefit people across the entire Commonwealth of Massachusetts,” said Congressman Richard E. Neal (D-MA). “I'm excited by the progress announced today, and confident that today's decision to study east-west passenger rail — paired with expanded service in the Pioneer Valley — will help boost economic vitality and growth not just in Western Massachusetts, but throughout the Commonwealth,” said Congressman Jim McGovern (D-MA). 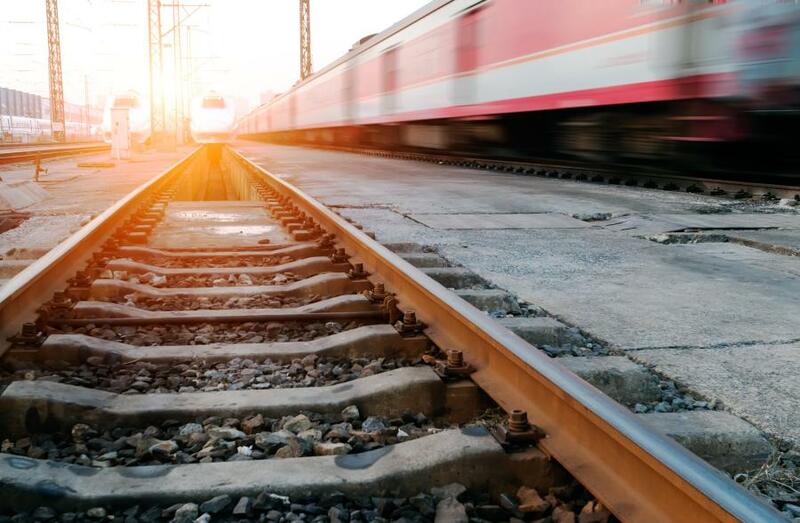 The Request for Proposals will enable the Massachusetts Department of Transportation to carry out an extensive study over approximately 18 months, and analyze many aspects and options for potential east-west passenger rail service. In addition to studying potential passenger service from Springfield to Boston, the study will look at potential origins farther west such as Pittsfield and Palmer. This will include engaging with stakeholders and evaluating the potential costs, speed, infrastructure needs and ridership of potential passenger rail service throughout this corridor. The Baker-Polito Administration also announced that a term sheet has been finalized with the Connecticut Department of Transportation which will enable the start of passenger rail service between Springfield and Greenfield beginning on a pilot basis in spring 2019. Under the agreement, MassDOT will fund the cost and management of the pilot service, which will be operated by Amtrak and conclude in fall 2021. The pilot will provide two round trips each day and make stops at stations in Greenfield, Northampton, Holyoke and Springfield. Southbound service will be provided in the morning hours and northbound in the evenings. This pilot service will leverage the MassDOT-owned Knowledge Corridor, which is currently used by Amtrak's Vermonter service, and the recently renovated Springfield Union Station. Meanwhile, the new 62-mi. Hartford Line began operating on June 16, with trains running approximately every 45 minutes between Springfield and several cities and towns in Connecticut including Windsor Locks, Windsor, Hartford, Berlin, Meriden, Wallingford and New Haven. This expanded service is in addition to the existing Amtrak service throughout this corridor. For information about the Hartford Line, visit www.hartfordline.com.